The HSE’s National Ambulance Service (NAS) is being forced to send local authority fire crews to medical emergencies when no ambulance is available. In the latest incident in Clare, fire brigade personnel were requested to attend a patient in cardiac arrest on Monday because the nearest ambulance was 90 minutes away. Kilkee Fire and Rescue Service was alerted at around 3.00pm and requested to respond to the emergency call. The incident occurred at the elderly woman’s home near Cross on the Loophead Peninsula about 30 kilometres from the nearest ambulance base in Kilrush. Fire brigade first-responders spent over 30 minutes trying to resuscitate the gravely ill woman before a doctor pronounced the patient dead. Fire crews from several Clare stations have been requested to respond to emergency medical calls over the past 18 months because no ambulance was available at the time. 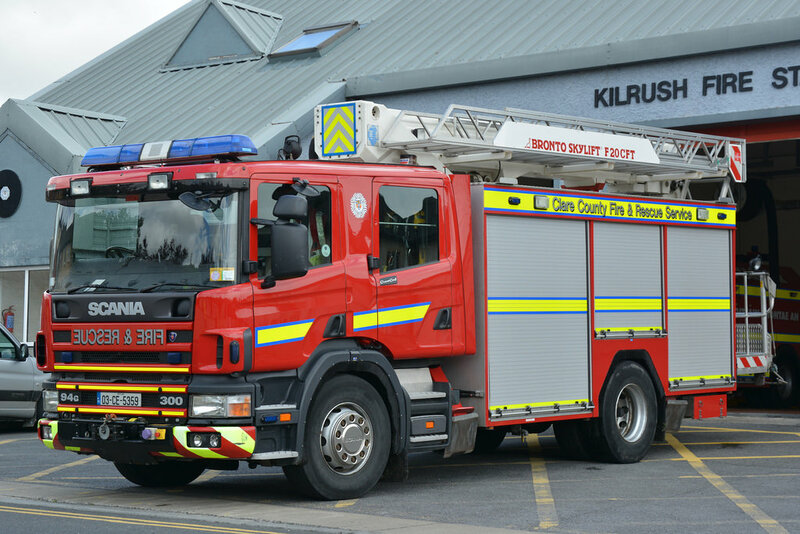 There is however no such arrangement in place with Clare County Fire and Rescue Service although a spokesman said they would respond to calls for assistance from another ‘blue light service’ if requested. “The HSE continues to ignore the urgent requirement for a prompt and efficient ambulance service in Clare. We have excellent paramedics here in Clare but they are under resourced. The county doesn’t have an accident and emergency department so an efficient ambulance service is so vital especially when a patient has to be transferred up to 120kms in many cases to hospital in Limerick,” Cllr Lynch added. The National Ambulance Service has not responded to questions regarding the location of the nearest available ambulance on Monday or how far it was from the scene. “The emergency call taker remained on the telephone and offered assistance to the caller while NEOC colleagues contacted a local GP who arrived at scene at 15.26hrs. The NEOC emergency call taker also sought the assistance of the Fire Service at 15.08hrs who responded and also the Irish Coast Guard to provide a faster transport time to hospital. Unfortunately the Irish Coast Guard were unavailable at the time of request,” the spokesman added. NAS has confirmed that the GP at scene pronounced the patient deceased while responding NAS resources were subsequently stood down from call. The service made no comment when asked whether it accepted the repeated assertion that the HSE/NAS is being negligent by not providing adequate cover for areas when the local ambulance is not available. What if Pokémon Go turns into serious healthcare emergency?